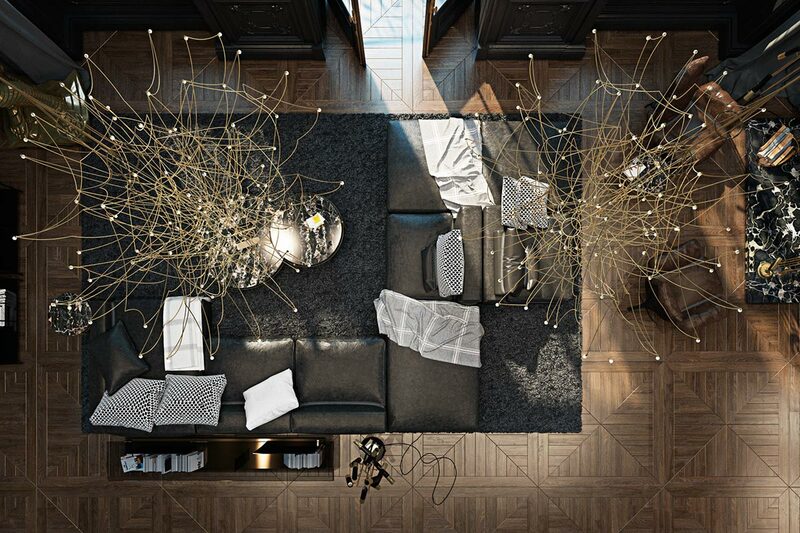 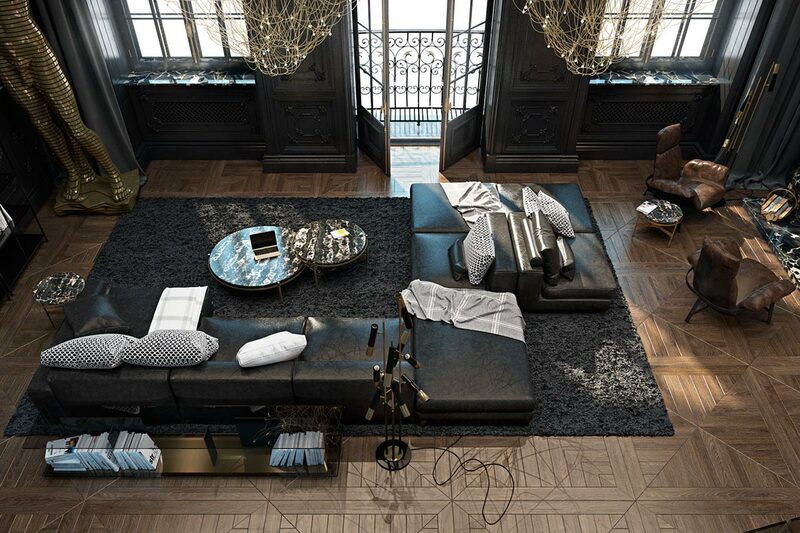 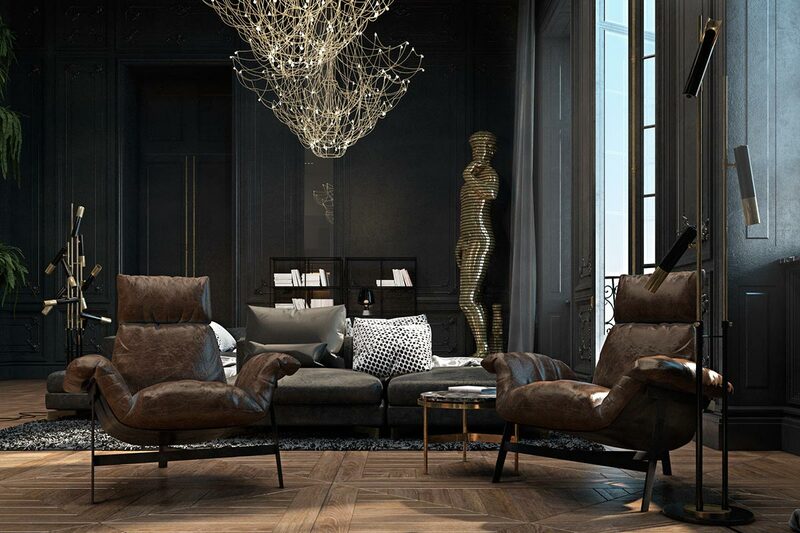 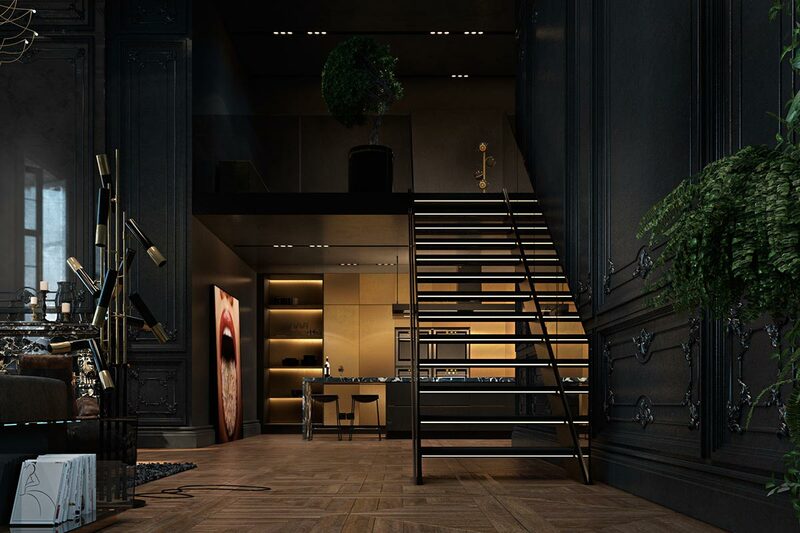 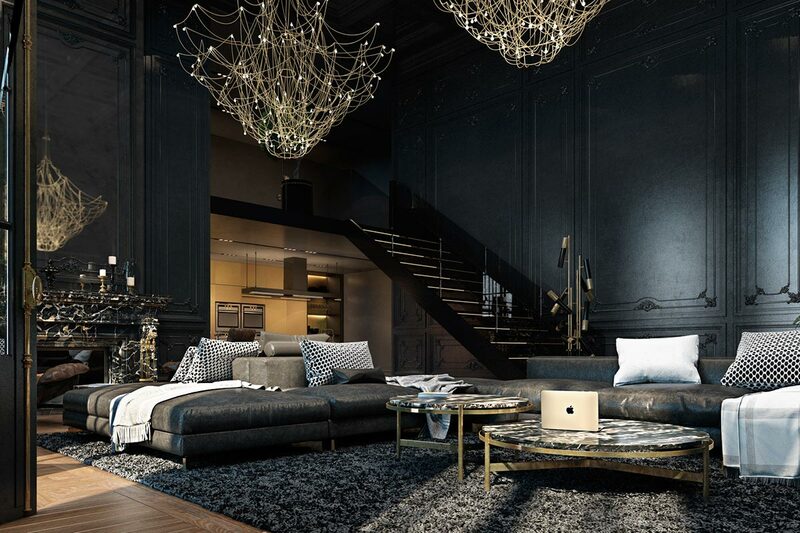 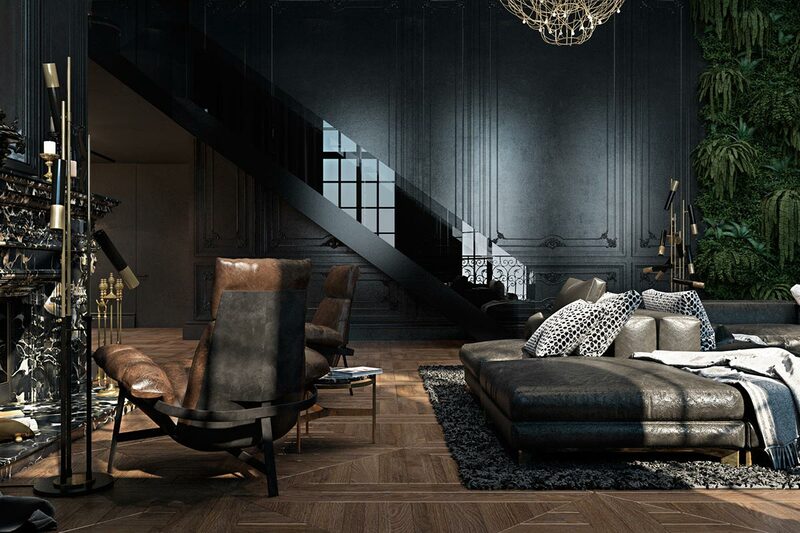 This two-storey apartment in Paris was designed by Ukranian interior designers Irina Dzhemesyuk and Vitaly Yurov. 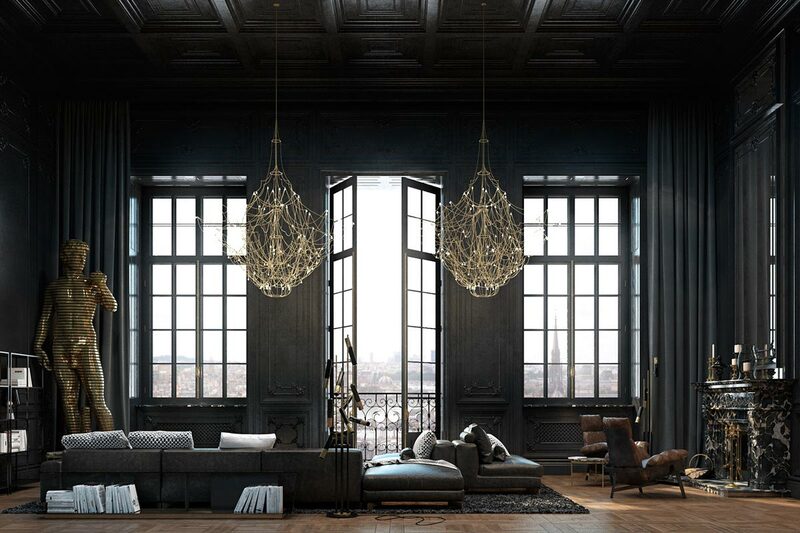 It is located in the historical center of Paris, inside a historical building. 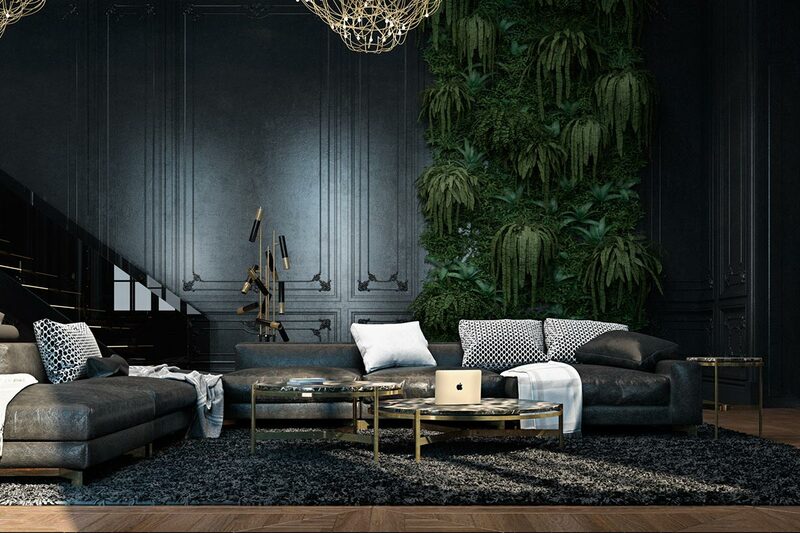 Retaining its unique character the apartment received a significant visual upgrade, which results in an overall more modern and stylish appearance. 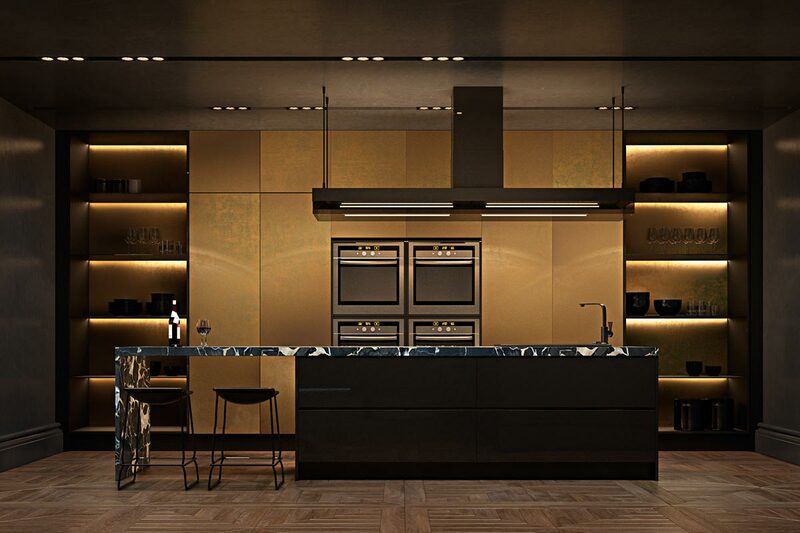 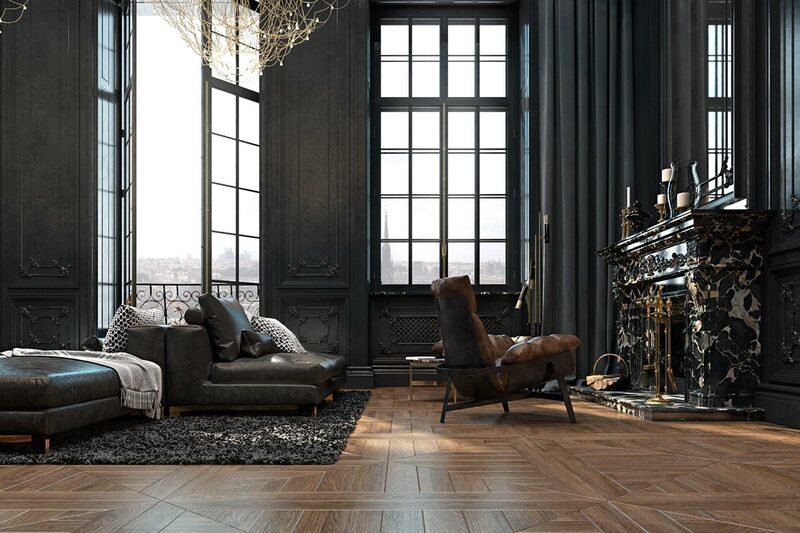 The dark color palette is pretty unusual for Parisian residences, but it acts as the perfect backdrop for brass metal accents and marble tabletops. 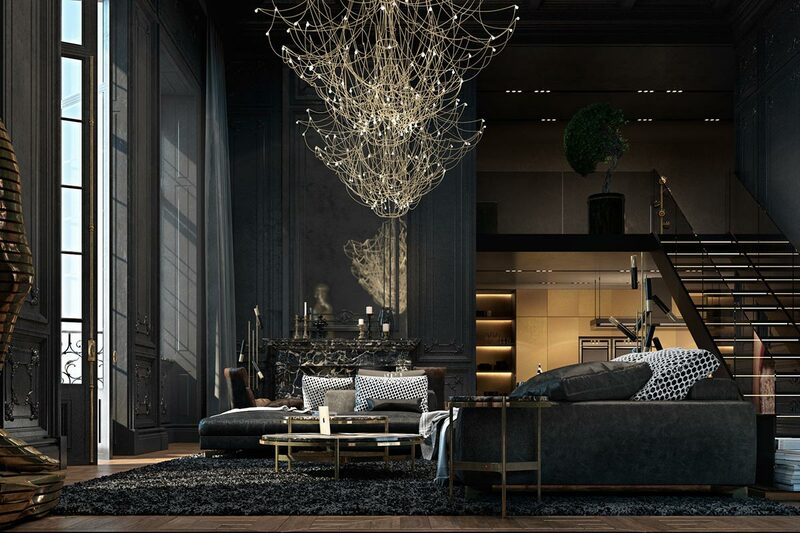 The end result is a pretty bold, sophisticated, eleganct and comfortabel living environment, thanks to the meticulous work of the designers.